All tickets are subject to service charges and tax. *Proof of age may be requested. *Available on a first-come, first-served basis due to limited capacity. **You must be in the Priority line 30 minutes prior to scheduled presentation time for Priority Access. Seating is not guaranteed. Excluding Specially Ticketed Events, unless otherwise noted. *Contact us within 48 hours of the release if this super hot item sells out. We'll set you up with a spot. **You must be in the VIP line 30 minutes prior to scheduled presentation time for Priority Access. VIP seating is not reserved. ***Looking for your own Fortress of Solitude at the Show? Try the VIP Lounge - but remember, space is limited and is available on a first-come, first-served basis. -	Don’t forget to wear loose fitting clothing and bring a water bottle! 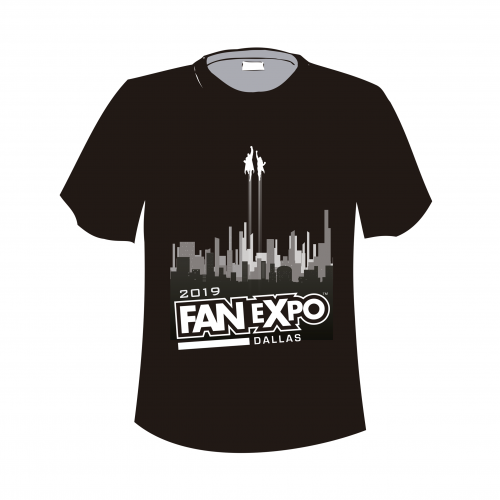 -	Admission to FAN EXPO Dallas is required to attend this Specially Ticketed Event. •	Best selfie ever. Don’t forget your camera! •	A one-hour workshop session where Jordyn will walk you through all the steps she takes for posting the best Instagram selfie. Package includes: -	Intimate Q&A -	1 hoodie signed by JC Caylen -	Best selfie ever, don’t forget your camera! •	The best selfie ever! Don’t forget your camera! 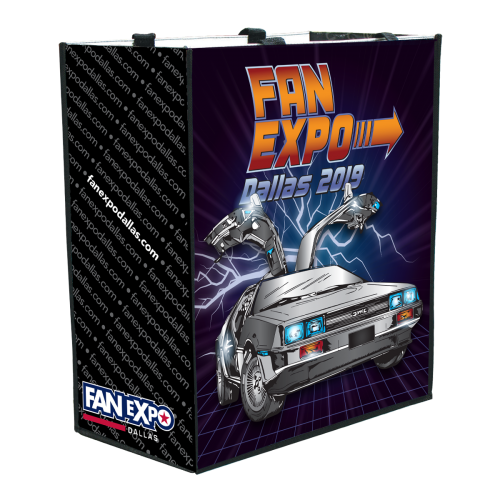 Specially Ticketed Events DO NOT include admission to FAN EXPO Dallas 2019. Admission to FAN EXPO Dallas is required. Special Presentation with Christopher Lloyd, Lea Thompson, James Tolkan, Tom Wilson and superstar Michael J. Fox. This Specially Ticketed Event will take place on Friday, May 3 at Kay Bailey Hutchison Convention Center. Ticket holders will receive Priority Seating. Details regarding your specific seating time will be emailed to you closer to the event. Ticket holders will receive First Priority Seating. Details regarding your specific seating time will be emailed to you closer to the event. - Professional Photo Op with the entire Back to the Future cast including Michael J. Fox, Christopher Lloyd, Lea Thompson, James Tolkan & Tom Wilson. - One guaranteed in-person autograph from Michael J. Fox, Christopher Lloyd, Lea Thompson, James Tolkan & Tom Wilson, on an item of your choice. - Gold Ticket to An Evening with the Cast of Back to the Future. Gold Ticket holders will receive First Priority Seating. Details regarding your specific seating time will be emailed to you closer to the event. Guaranteed autograph by Michael J. Fox on any item larger than 11"x17" including posters, toys, props & any other non-flat item on Saturday, May 4, 2019. This Specially Ticketed Event will take place on Friday, May 3 and Saturday, May 4 at Kay Bailey Hutchison Convention Center. -	1 original inked head and torso commission quality sketch (character of your choice) on an 8 x 10 artboard or comic cover* done in person at the event during a one-on-one with Doug Mahnke. -	The best selfie ever! Don't forget your camera! 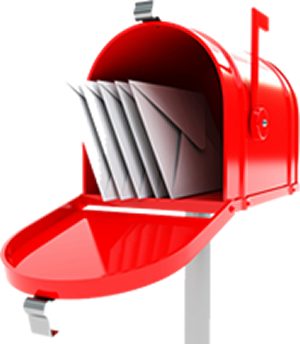 -	The date and time of your one-on-one will be confirmed with you via email closer to the event. -	If you would like to CGC/CBCS these items, additional charges will apply through a third-party provider. -	Limited to one ticket purchase per person. •	1 exclusive variant copy of Venom 1 (signed by Donny Cates & Ryan Stegman). •	1 exclusive mystery gift. •	5 additional autographs per person, per creator on items of your choice. •	The best selfie ever! Don’t forget your camera. •	Exclusive 1-hour VIP panel with Donny Cates, Ryan Stegman & Frank Tieri. - * Fans only, no dealers, please! - There are no CBCS or CGC signing fees at these events. - All creators will sign books for free if you have an event ticket. •	Priority seating at an exclusive 1-hour VIP panel with Donny Cates, Ryan Stegman & Frank Tieri. THIS PACKAGE INCLUDES: - Voice recording by Frank Welker on recording device of choice (max 50 words). THIS PACKAGE INCLUDES: - Voice recording by Peter Cullen on recording device of choice (max 50 words). - 2 autographs each from Peter Cullen & Frank Welker, on items of your choice, at an exclusive autograph session. - The best selfie ever! Don’t forget your camera. -	Guaranteed seating at Peter Cullen & Frank Welker’s Q&A. - 2 autographs from Frank Welker, on items of your choice, at an exclusive autograph session. - 2 autographs from Peter Cullen, on items of your choice, at an exclusive autograph session. Package Includes: -	General Admission seating to Lynda Carter’s “This Life” Live Performance. -	General Admission seating to Lynda Carter’s “This Life” Live Performance. Package Includes: -	Priority seating to Lynda Carter’s “This Life” Live Performance. -	Priority seating to Lynda Carter’s “This Life” Live Performance. -	First Priority seating to Lynda Carter’s “This Life” Live Performance. -	Professional Photo Op with Lynda Carter. -	Authentic autograph PRE-SIGNED by Lynda Carter on 8x10 Wonder Woman photo. -	Don’t forget to wear loose fitting clothing! -	Bring your own mat or towel and water bottle. A Back to the Future themed party with music, decor and costumes. Come dressed in 1955 era to win great prizes. Mystery, magic and decadence - an evening like no other! Hosted by our amazing lineup of international cosplayers, you won’t want to miss FAN EXPO Dallas’ Masquerade Ball featuring: red carpet, top DJ spinning party music all night, prizes & giveaways, midnight unmasking, on-site video games and karaoke. Please Note: This is a 21+ event. Want to be faster than a speeding bullet? Add Shipping to your order to bypass ticket lines, use any Re-Entry door, and get a faster start to your day. Worth it? You bet! Badges will arrive in the weeks leading up to the show. Shipping is only available for US residents. Passes will arrive between April 22 - 29, 2019. Merchandise and Special Event tickets must be picked up at the event. You may withdraw your consent to receive any of our communications at any time. I understand and agree with the refund policy: All ticket sales are final. No refunds or exchanges. It’s important to the FAN EXPO HQ team that everyone who attends the convention have a welcoming, fun, and safe experience. These policies have been developed so that everyone can have a wonderful and memorable weekend. 1. 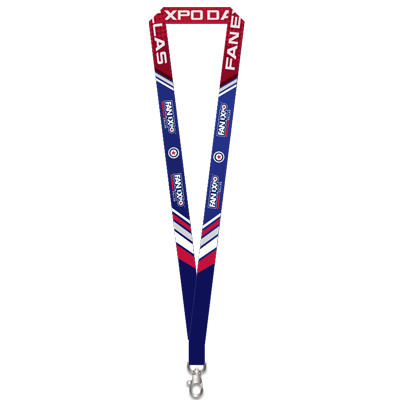 A valid pass must be worn at all times to gain entry to FAN EXPO Dallas. Damaged or altered passes will not be accepted on entry. 2. Passes cannot be replaced if lost, stolen, damaged, or destroyed under any circumstances. 3. Passes are only valid for the event and date for which they are issued. 4. Any reproduction of passes or tickets is strictly prohibited. 5. All purchases are final and non-transferable. No refunds or exchanges for any reason. 6. All passes remain the sole property of FAN EXPO Dallas and may be confiscated by authorized staff without compensation for whatever reason deemed fit. 7. Unauthorized or unlawful resale or attempted resale is prohibited by law and is grounds for immediate seizure of the passes without compensation. 8. Counterfeit Tickets Warning: To guarantee the authenticity of your FAN EXPO Dallas pass, protect yourself by buying only at www.fanexpodallas.com or our official event Box Office (available on event days only). 9. Management reserves the right to revoke/refuse admission to or to eject from the event/venue; any person(s) who fails to comply with the rules and regulations of the event or venue and all applicable laws. 10. Pass bearer assumes all risk and danger of personal injury, damage to property, including death, and all other hazards arising from, or related in any way to, the event for which the pass is issued, caused by negligence, gross negligence, or otherwise, and the holder releases and indemnifies FAN EXPO Dallas, its employees, and its agents from any and all liabilities and/or claims resulting from such risk, danger, damage, injury or death. 11. Pass holder agrees to abide by all posted signage requesting him/her to not take photos/video in an area where it is posted as prohibited. 12. FAN EXPO Dallas, as well as the Dallas Convention Center, reserve the right to search any person and/or their bags and items at any time at the show. Purchase of any ticket type indicates your consent to allow searches. 13. 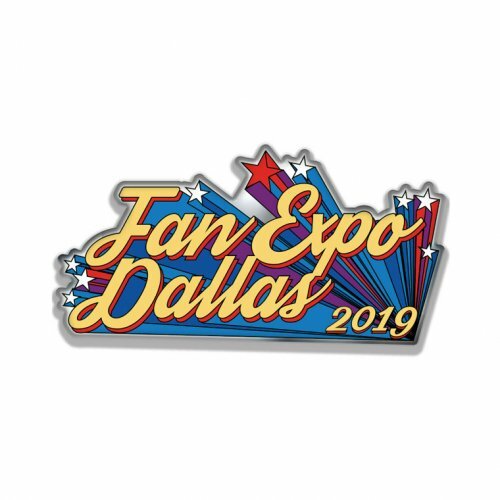 Attendees are not allowed to solicit for sales of any type, nor distribute flyers, business cards, or any other item at the show without the express WRITTEN permission of FAN EXPO Dallas. 14. 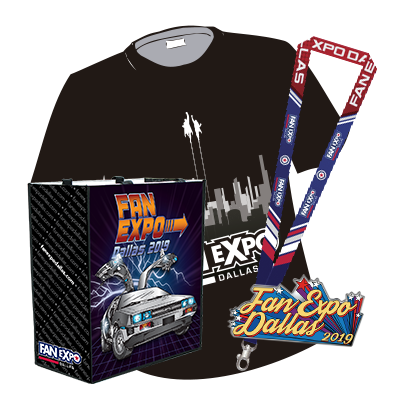 By entering FAN EXPO Dallas, the ticket holder grants to FAN EXPO HQ, entities affiliated with Informa Global Exhibitions, and their respective agents the unrestricted right and license to use the holder's name, likeness and voice in any production, reproduction, distribution, transmission, publication, public performance, broadcast or exhibition of advertisements, broadcast or telecast of the Event, promotions, contests, photograph taken, or other transmission or reproduction in connection with the Event for any purpose, without compensation. 15. Guest appearances are subject to cancellation or schedule change at any time. 16. Some Guests may charge additional fees for autographs and photo opportunities. 17. Guests generally appear for the duration of the event, although some are only available for a portion i.e. a single day. Appearance day(s) will be posted on the website once confirmed by the Guest. 18. All events, panels, autograph sessions, and photo opportunities have limited capacities and are offered on a first-come, first-served basis unless otherwise noted. *FAN EXPO Dallas reserves the right to change and/or alter these terms and conditions at any time deemed necessary.